Where Did Your Storm Come From? 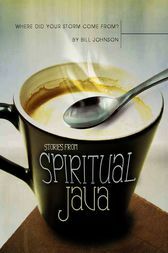 This ebook is a short story by author Bill Johnson from Spiritual Java. Enjoy a cup of inspiration! Take a big swallow of spiritual java to start your day, and your spirit will be energized to meet and conquer the world on God's terms! Step 1: Select an espresso-sized chapter. Title: Where Did Your Storm Come From?